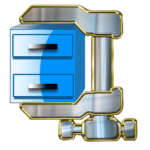 WinZip is a utility for working with archive files. The app has gained worldwide popularity due to the fact that it was the first archiver with a graphical interface. 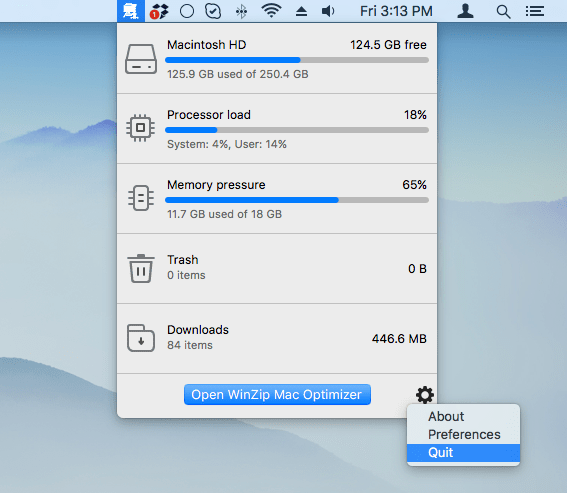 Today, WinZip provides a big number of additional features for optimizing Mac. However, most users prefer to use other popular apps, WinRAR or the macOS built-in archiving utility, due to their simplicity. If you are also a switcher to other archivers, this article is for you. We will tell you how to uninstall WinZip on Mac correctly and completely without leaving traces. 2. Uninstall WinZip using App Cleaner. Quit WinZip. It is important to always quit the application before you start the removal process. 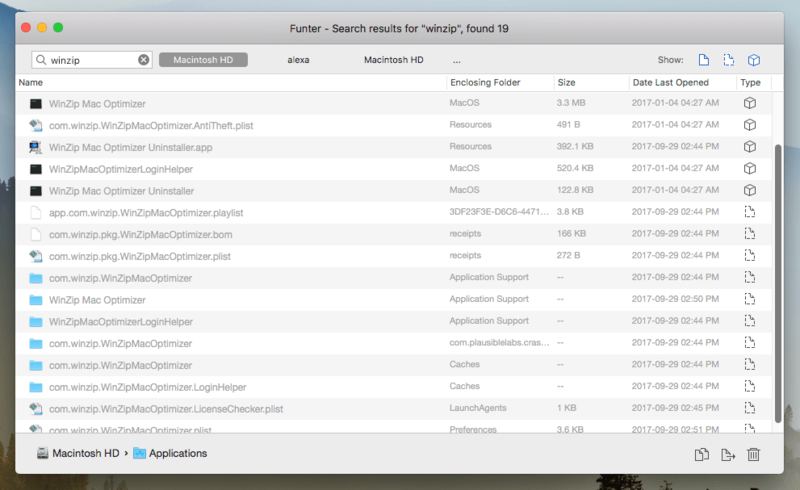 Open the Applications folder in the Finder and remove WinZip from there. Drag and drop the app’s icon to Trash or use the context menu for this. Now it’s time to find and remove the leftovers of WinZip on your Mac. You should know that just moving the app to Trash is not enough to uninstall the app completely. 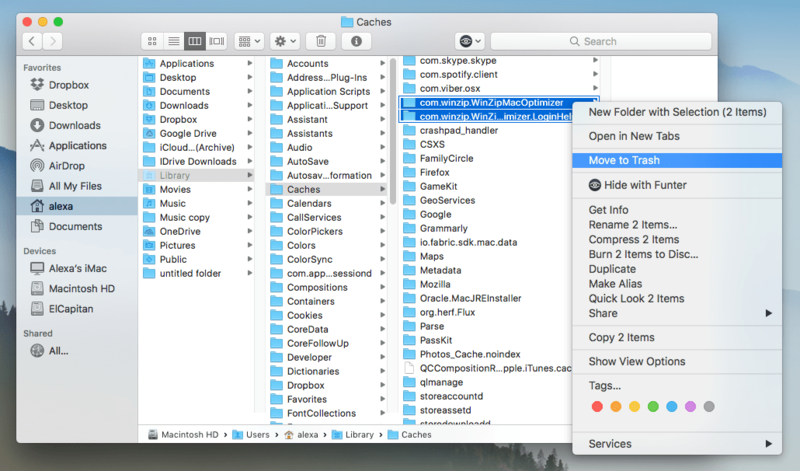 The apps leave their service files in hidden system folders and you should clean up these traces. 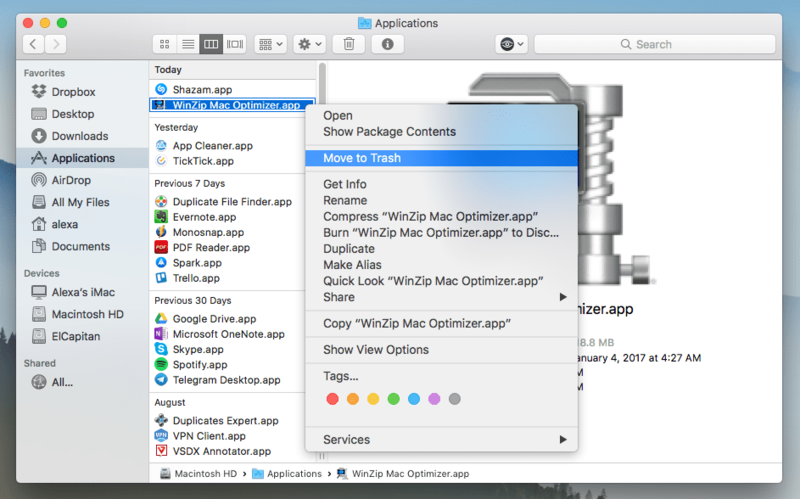 Another way to quickly find all files and folders related to the WinZip Mac Optimizer app and remove them using Funter – a free app which finds any file, including hidden files in system folders and files in the packages. After removal of all WinZip files, don’t forget to empty the Trash. 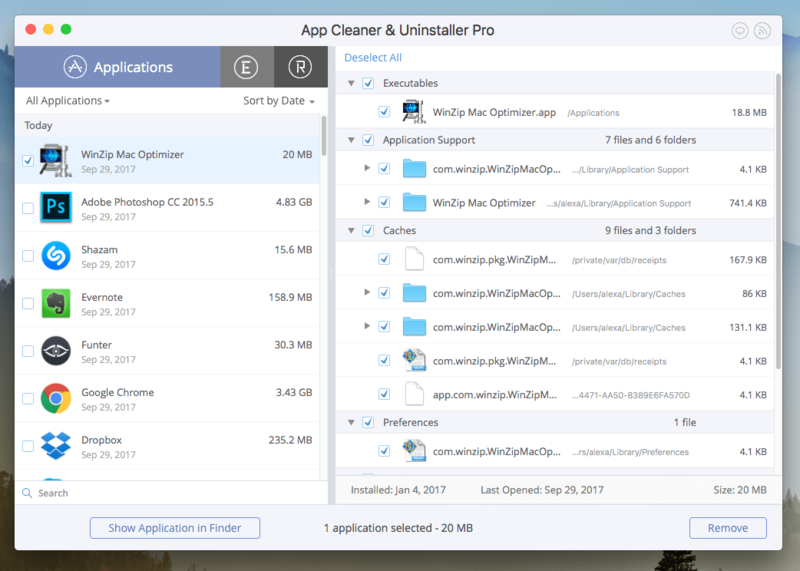 We always suggest using App Cleaner & Uninstaller to uninstall any program on Mac. Firstly, it removes apps completely with all their service files. Secondly, You can uninstall any app with just 3 clicks. Select WinZip in the list of apps.